Highlees celebrates the harvest and helps others in need. We've welcomed the autumn with a wonderful Harvest Festival here at Highlees, celebrating and appreciating the delicious food we have to eat. Our children, and the wider Highlees community, demonstrated our 5C's of Care and Consideration by donating generously to our collection of food. Just look at how much we collected!! Well done everyone! All items will be donated to Peterborough Foodbank on 5th October so there's still time if you would like to make a donation! Just drop of any non-perishable food items to the school office, or send them in with your child. Peterborough families will really appreciate your generosity. 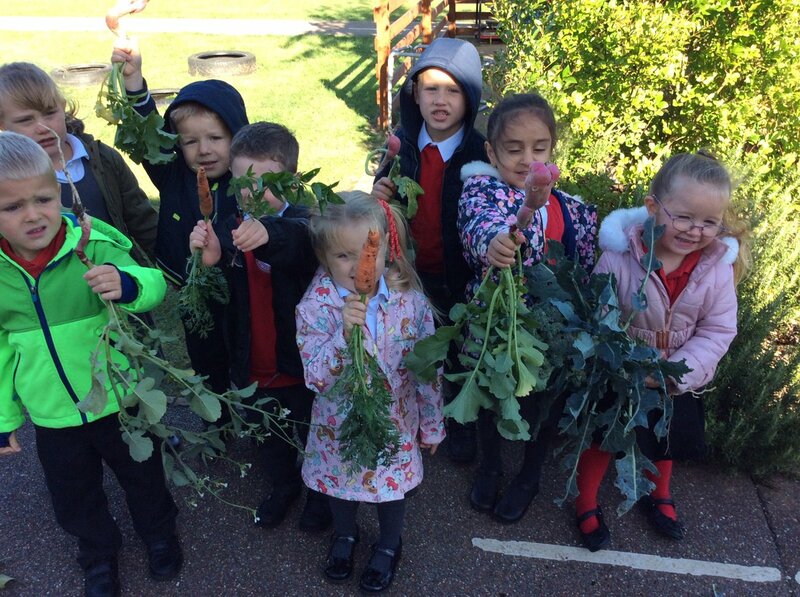 To further explore the food we grow and eat, our children in EYFS were extremely helpful and prepared fruit and vegetables for lunch alongside our kitchen manager. They carefully sliced, diced, peeled and chopped lots of produce. 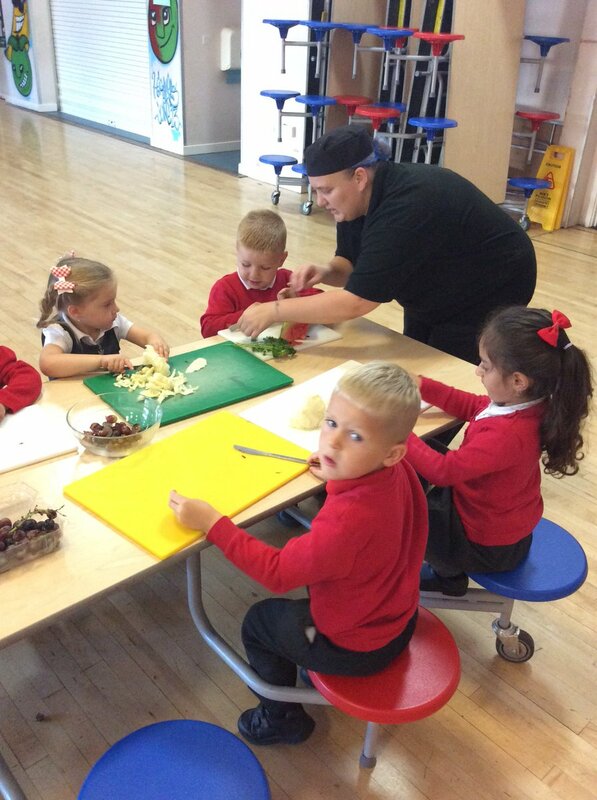 The kitchen staff were very grateful and impressed with the children's hard work! 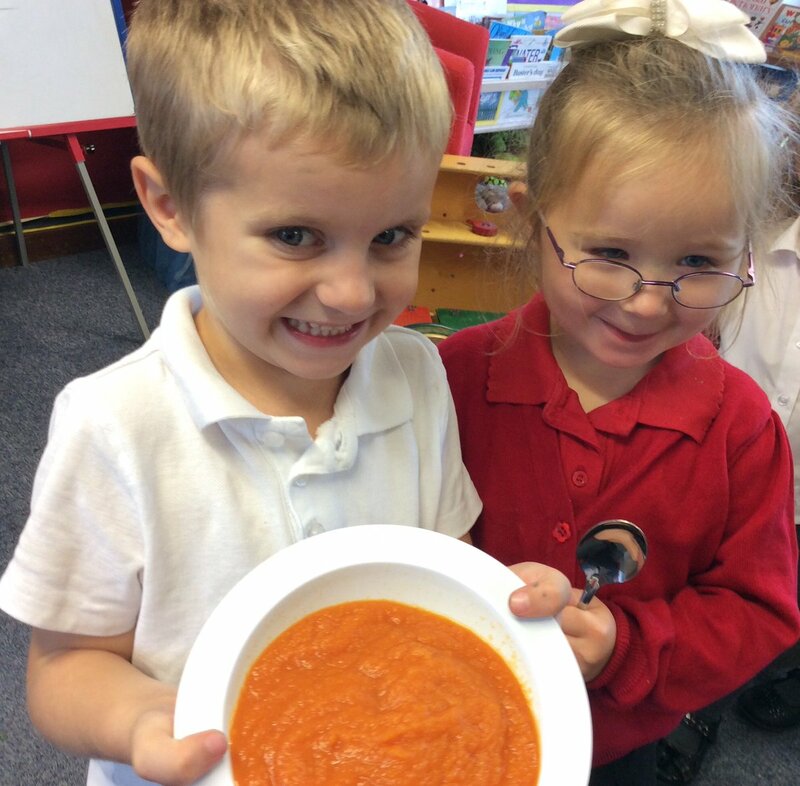 ...and then made a healthy and tasty Harvest Soup! All this after being at school for just a few weeks. Well done EYFS!